Taiwan’s president Ma Ying-jeou has concluded his tour of Africa where he met with various heads of state, thereby reaffirming diplomatic relations with them. Taiwan's president on Tuesday [17 April 2012] wrapped up a 12-day, three-country tour of Africa aimed at reaffirming Taipei's diplomatic links to the continent in the face of Beijing's increasing influence in Africa. Ma Ying-jeou was warmly received, but his tour did not go as planned. Arriving in Swaziland on Sunday [15 April 2012], President Ma was greeted by King Mswati III and presented with the Order of the Lion - the kingdom's highest honor. Swaziland is one of four African states that recognize Taiwan and not China. The others are Burkina Faso, Gambia, and Sao Tome and Principe. Nineteen other countries around the world recognize Taipei over Beijing. But as China's global influence expands, Taiwan's is dwindling, says Adams Bodomo, director of African studies at the University of Hong Kong. "It's all about this 'One China' policy - a policy that recognizes only one, not two Chinas in the United Nations," he said. "Beijing has a condition: If you trade with them, you must respect the fact that there is just one China - Beijing's China. And so, most African countries have agreed to this policy." The countries that recognize and promote Taiwan's interests through international organizations like the United Nations are important to Taipei, says Bodomo. "Africa has a lot of U.N. votes - more than 50 - and they often vote en bloc, these African nations. Beijing is trying to woo them. Taiwan wants to hold onto them. So it's a fight, a major struggle," he said. Ma has promoted economic cooperation with Taiwan since he became president in 2008. Ma, who enjoys a better relationship with Beijing than his predecessors, has said he is focused on providing humanitarian and development support to Taiwan's allies, not in fighting a diplomatic battle with China. 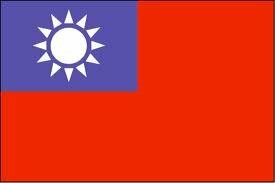 Beijing considers Taiwan a renegade province and has threatened to use military force, if the island declares independence. "I believe Mainland China is willing to develop better relations with Taiwan," said President Ma. "We can stop competition with mainland China and, instead, use our efforts on more important investment [in Africa]." The shadow of Beijing's influence loomed large over Ma's Africa tour. Days before he departed Taiwan, Sao Tome and Principe stated its president would not be available to meet with his Taiwanese counterpart. That announcement came shorty after delegates from Sao Tome attended a conference hosted by China for Portuguese-speaking nations. Ma downplayed the cancellation. "They told us they had a schedule conflict," he said. "I know sometimes our allies have contact with mainland China. As long as they confine their activities to non-official, commercial activities, that's fine with us." Taipei has often been accused of practicing so-called "dollar diplomacy" - writing checks to corrupt leaders and turning a blind eye as to how the money is used to secure official ties to Taiwan. But a subtle shift might to be occurring, with Ma suggesting that he encourages social reform among Taiwan's allies. "We try our best to let people know what we are and what our objectives are. But obviously, every country has its choice of the form of [its] government," he said. "As the world moves toward a freer, more democratic society, I am sure the message is clear." To ensure that Taiwan's money benefits the right people, aid increasingly is being channeled through reputable third-party agencies. One thousand tons of rice, for example, will be distributed through a work-for-food program managed by World Vision Swaziland. In Burkina Faso, directed aid will support management of the Malian refugee crisis. Previous moves by Taiwan's allies to establish diplomatic ties with Beijing have resulted in an immediate cessation of aid. In 2008, ties between Taiwan and Mali were severed after the African nation's allegiance switched to Beijing. As the Taiwan president departed Africa, he said the tour had taught him many useful lessons. President Ma is approaching the inauguration for his second term in office after being reelected earlier this year .